There are lots of reasons to record your screen: you might be making a Let’s Play video for YouTube, composing a software tutorial, or preparing a presentation for work. recording tool, hidden away in the pre-installed Xbox app. You can also record your screen from within a browser window, without downloading and installing a large program. what you’re recording, the hardware you’re using, and how much time is at your disposal. [Windows]+[Alt]+[R] to start, then use the same shortcut when you’ve finished. Recorded videos will be saved in your Videos/ Capture folder in MP4 format. To customize the recorder’s settings, log into the Xbox app and access the Game DVR options. Unfortunately not all Windows 10 devices can record footage with the Game Bar. If your PC or laptop doesn’t qualify, read on for more options. FlashBack Express is a superb free screen recorder that’s ideal if your PC doesn’t support Windows 10’s Game Bar, or you need something more flexible. Download and install the software, then click ‘Record your screen’ for an extensive selection of customizable settings. with your mouse, or even your webcam. You can also specify whether the recording should include sound (from your microphone, speakers, or both). time or file size, and much more besides. You can even schedule recordings by time, or when a specific application is opened. same download), and make some small adjustments like trimming and cropping. 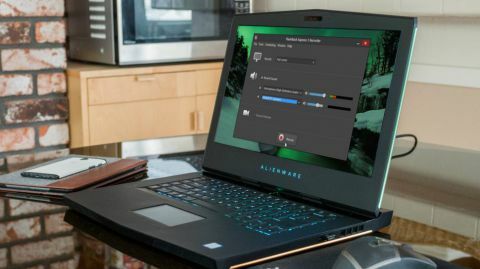 If you don’t have time to install a desktop program, you can record your PC’s screen from within any modern web browser with Apowersoft Free Online Screen Recorder . It’s a superb tool that’s better than a lot of desktop software. To get started, visit Apowersoft’s site and click ‘Start recording’. You’ll be prompted to download a small launcher application, after which a recording bar will appear. Clicking ‘Download desktop version’ will download a trial version of Ashampoo Screen Recorder Pro. This is a great tool, but it’s premium software and the demo will only let you record for a short period. It’ll also watermark your clips. disadvantages, letting you record for as long as you like with no unwelcome additions. As with Flashback Express, you can record from your screen (a selected area or the whole thing) or a webcam. You can choose whether to include the cursor, and even add annotations while recording is in progress –ideal for tutorials and presentations. When you’re done, click the pause button, followed by the tick. The video will be saved in your Documents folder in MP4 format.